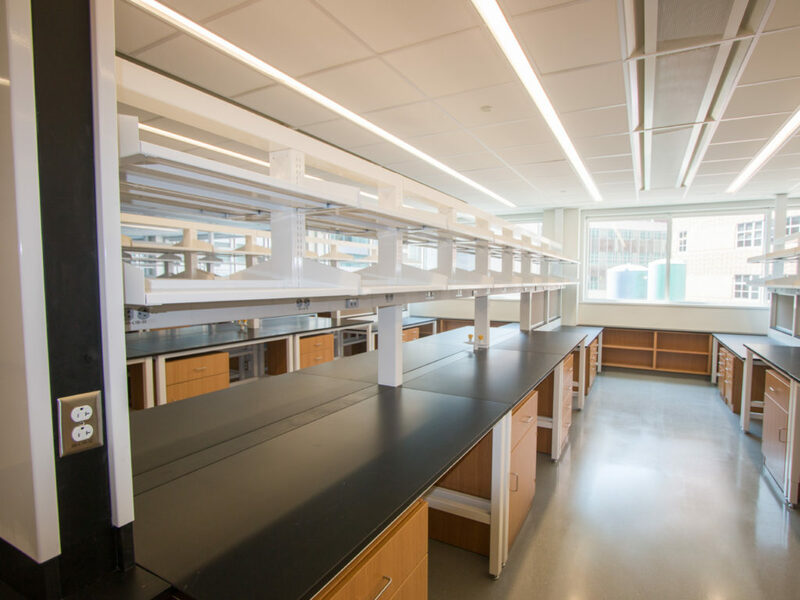 The University of Pennsylvania renovated its Stemmler Hall Perelman School of Medicine facility. This 200,000 sq. 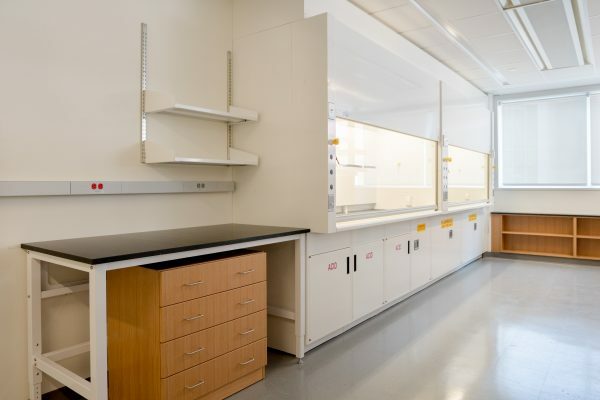 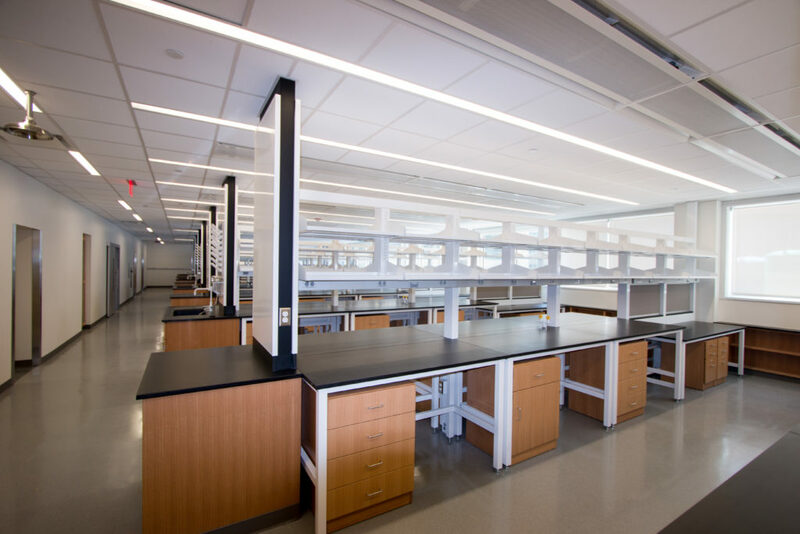 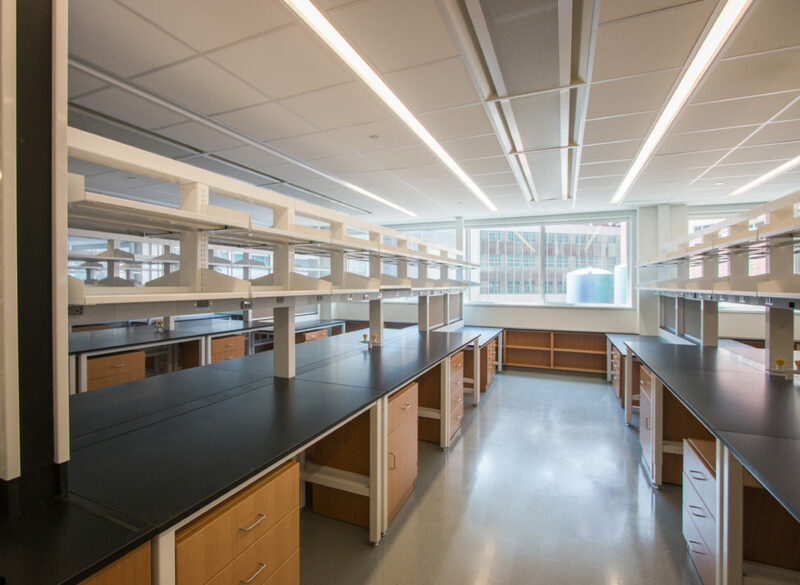 ft., five story, multi phased renovation project completely transformed the building into a state-of-the-art, open and efficient BSL-2 wet bench research laboratory space. NEIS installed the product scope which included; CiF Lab Solution’s painted metal cores with painted metal tables, premium wood fixed and mobile casework with false rift white oak veneers. 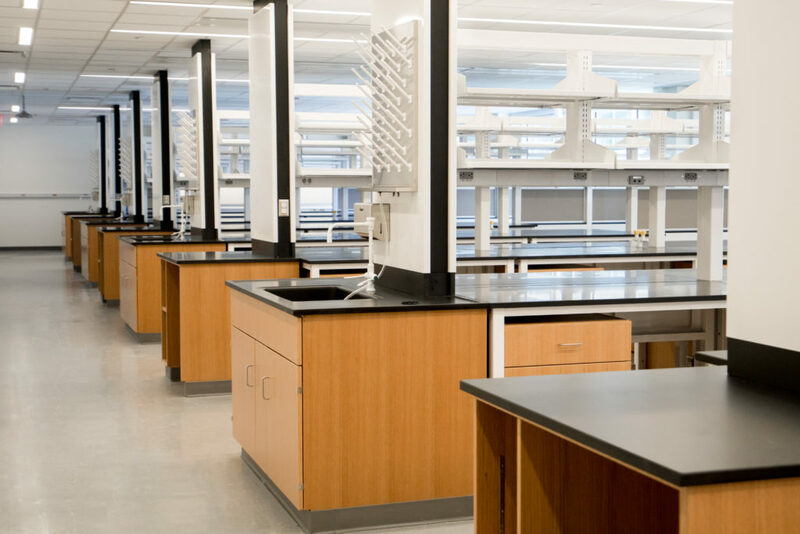 Overhead service carriers piped drop enclosures. 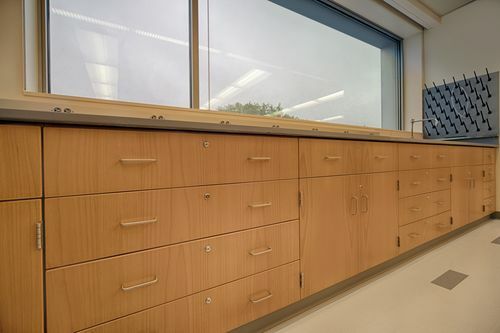 In addition to thirty two Lab Crafters’ fume hoods.